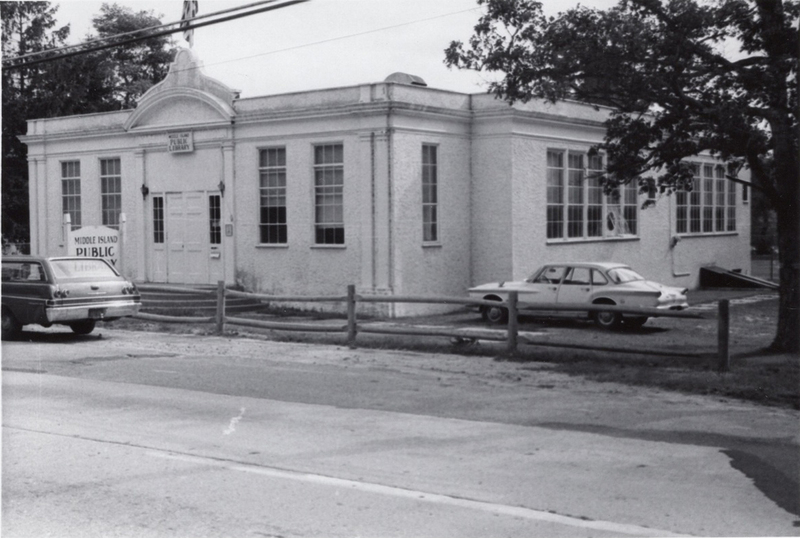 Longwood Public Library began in a one-room building that was formerly the Coram School. Mrs. Evelyn Holschuh Brown is credited as the library founder. 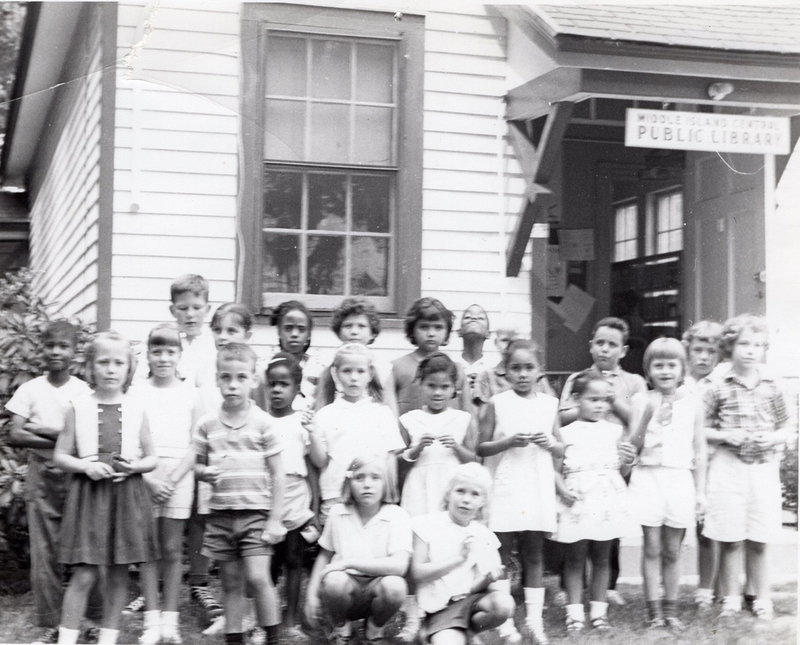 A provisional charter to establish library services was granted in June 1953, and the library, then known as Coram Public Library, opened its doors in the little schoolhouse on November 24, 1953. During the first year, the library struggled to operate with a volunteer staff and a budget of $1,000. Although the Library was open for only 8 hours per week and contained only 250 donated books, annual circulation exceeded 1,000 items. By 1958, the Coram Public Library had increased its hours from 8 to 16 per week. The collection had grown to 2,069 books and the circulation was 2,591. In 1959, six local school districts were centralized and the library became known as the Middle Island Central Public Library. 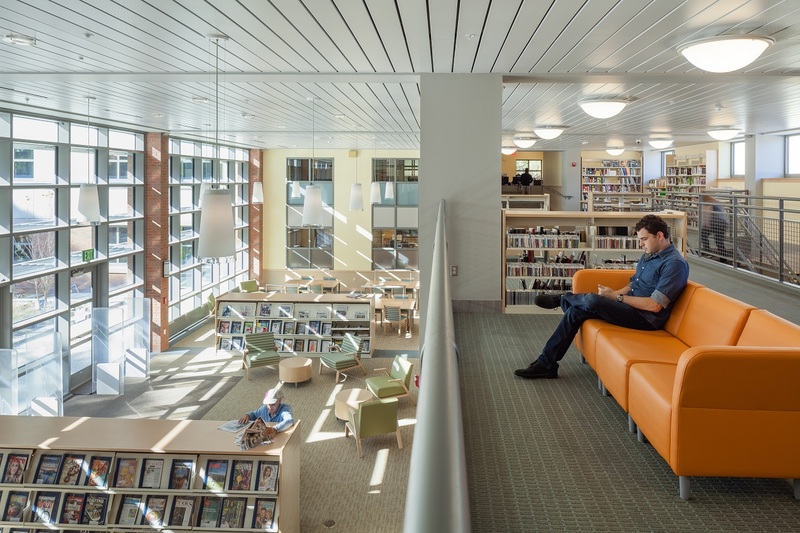 Consequently, the library's area of service was expanded to 54 square miles including the communities of Middle Island, Ridge, Yaphank, Lake Panamoka, Coram, Gordon Heights, North Medford, and North Shirley. By 1966, the collection had grown to 9,058 volumes and the tiny one-room schoolhouse became impossibly crowded with books and furniture. Fortunately, the Middle Island School Board made available the use of an empty school building on Main Street in Yaphank. Although the new facility was larger, it was not conveniently located for all the communities it served. 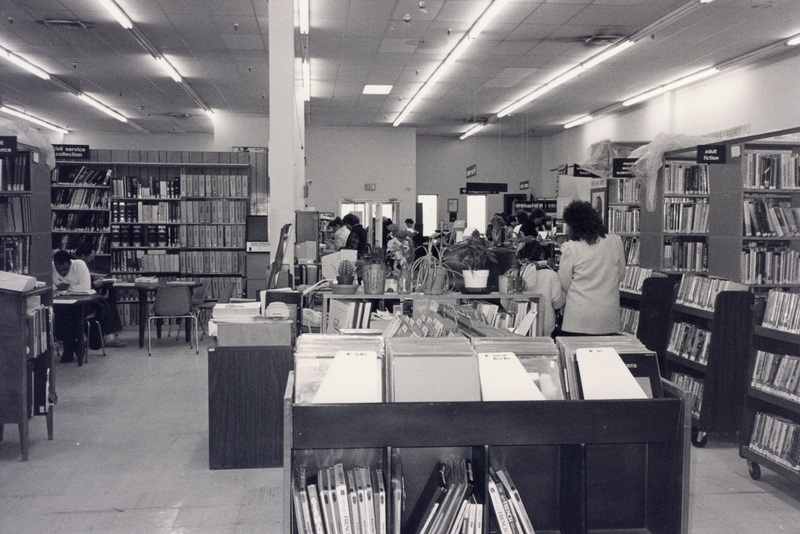 In order to have a better location, the library rented space in the former Billy Blake Shopping Center on Middle Country Road in Middle Island (now Walmart) and opened its new 3,800 square foot facility at the northeast corner of the store on December 2, 1971. Use of the library increased dramatically with circulation nearly doubling from 31,995 to 57,274 in 1972. However, the poor condition of the Billy Blake building soon became apparent. Heating, plumbing problems and roof leaks were everyday occurrences. The Billy Blake Company declared bankruptcy on October 7, 1973, voiding the library's rental agreement. 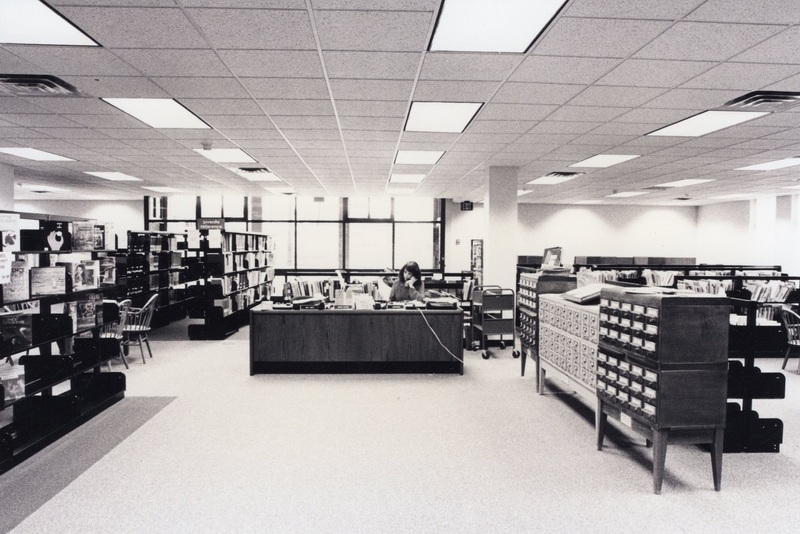 Anchor Properties, the successor to the bankrupt Billy Blake, continued to lease space to the library, but in 1976 Anchor informed the library that our space was to be a branch of the Anchor Savings Bank. As a result, the library had no choice but to make a lateral move within the same building. An architect was retained to design and supervise the renovation of the larger adjacent quarters. Renovations were completed by 1978 and library operations continued without interruption during this move. The complex was purchased from Anchor Properties by a new owner in April 1982 and the library continued leasing the same space. In 1985, the Library Board of Trustees resolved to acquire a site for the district's first permanent library building and began searching for a suitable location. Working with an architect to meet both current and future building needs, on April 16, 1986, the Board of Trustees finalized its plan to purchase land and construct a new library at the southwest corner of Middle Country Road and Old Yaphank Road in Middle Island. This proposal was overwhelmingly approved by a community vote of 1360 to 200. The Board of Trustees broke ground for the new facility on March 19, 1987, and the general contractor began construction immediately. As the new building progressed through 1987 and 1988, conditions in the Billy Blake building continued to deteriorate. People still talk about trying to find books under the plastic which served as protection from falling ceiling tiles. On July 1, 1987, the library's name was changed to Longwood Public Library to reflect its role serving the entire school district population. On November 3, 1988, the first permanent library structure in the community's history was opened to the public. Since 1988, the library has continued to grow, adding new materials, programs, and services. The population of the Longwood community also continued to grow, until the library building was bursting at the seams. In 2007, the library began holding community forums to discuss the future library needs. In 2011, the Board of Trustees retained Sandpebble to perform an existing conditions report on the library facility, and an exploratory building committee was formed. Over the next two years, the library held community charrettes and building committee members spoke with many community groups in order to determine the best course for the library facility. On October 9, 2012, the Longwood community approved a construction bond referendum with a vote of 698 to 394. In September 2013, the library moved to temporary quarters in the nearby King Kullen shopping center while the construction project moved forward. Library programs were held at a variety of locations, including Longwood schools, Yaphank Presbyterian Church, Mott House, St. Francis Cabrini and more. Once the building was empty, construction moved forward with an architectural design from Peter Gisolfi Associates. The 31,500 square foot building was gutted, and the interior was re-designed with many energy-saving features, such as spray foam insulation, triple-glazed windows, natural daylighting, and more. A new two-story addition was built on the west side of the existing building, bringing the final square footage to 45,360. The renovated and expanded building was reopened to the public on October 9, 2015. On October 25, a formal grand opening and ribbon-cutting ceremony were held to commemorate the transformed library. In November 2016, the library received a Public Library Building Award from the New York Library Association/Public Libraries Section. In April 2017, the library achieved LEED (Leadership in Energy & Environmental Design) Platinum certification, the highest level of recognition in green building.